Over the past couple of months, we’ve seen a couple of mostly vague, but potentially exciting, announcements from two major tech companies. Soon, we’ll see how Google Home and Apple’s HomeKit are positioned to challenge Amazon and other existing voice-activated devices. Amazon made a big splash last year with its Echo voice-activated device ($180), using the Alexa virtual assistant. 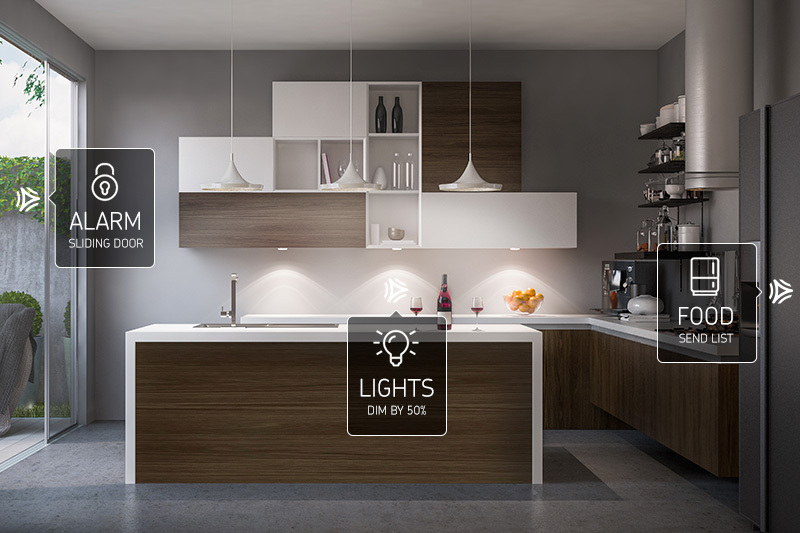 The service coordinates with a large number of third-party developers, as well, including both apps and smarthome devices and protocols like Nest, Insteon, Belkin WeMo, Phillips Hue, IFTTT, and more. Amazon has more recently added the Tap ($130) and the Dot ($90), each of which has some of the Echo functionality. Echo handles a wide variety of functions, including playing music from popular services like Spotify and Pandora, ordering a car through Uber or a pizza from Domino’s, and answering questions you might have about weather, sports scores, and more. In May, Google announced its new Home device, set to be available this fall (sign up for the email list to stay updated). A voice-activated speaker with some functionality similar to Amazon Echo, Google Home promises to take advantage of their existing assistant technology. In conjunction with the new device, Google will release a new messaging app for Android and iPhone this summer called Allo, which will also let you take advantage of Google’s personal assistant technology. 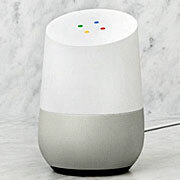 There are lots of unknowns about Google Home, though. We don’t know yet how much it will cost, or which third-party developers it will integrate with. Stay tuned. 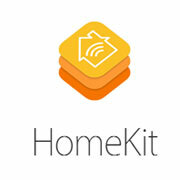 Also catching up a bit, Apple announced upgrades to its HomeKitfunctionality, including a stand-alone Home app for iPad and iPhone to coordinate all smart home devices using HomeKit. From the description provided at Apple’s developers’ conference in mid-June, Apple devices (including Apple TV and the Apple Watch) will have better HomeKit integration as well. While Apple already works with some third-party developers on HomeKit, it doesn’t have as many third-party arrangements yet as Amazon Echo does. When iOS X launches this fall, we’ll see more about how other developers will be working with Apple. Amazon, Apple and Google all use a key phrase to activate, but you can reset the phrase on Amazon and Google. (Especially handy if your daughter’s named Alexa, say.) If you prefer, you can turn off the microphone on the Echo, and it won’t respond to the wake phrase until you turn it back on. We’re glad to see customization is key with each of these platforms, helping you to make your experience as personalized as possible. Yes, we’re pretty close to being able to control many of our lights, appliances, and other home services entirely by voice control with one of these devices. If voice automation continues to improve quickly, we may care less about how the smart home protocols are (or aren’t) working together—because if we can just talk to the room instead of using three apps to turn up the heat, change the song, and find a recipe, we may be pretty happy. This side of the Connected Life is coming at us faster every day.